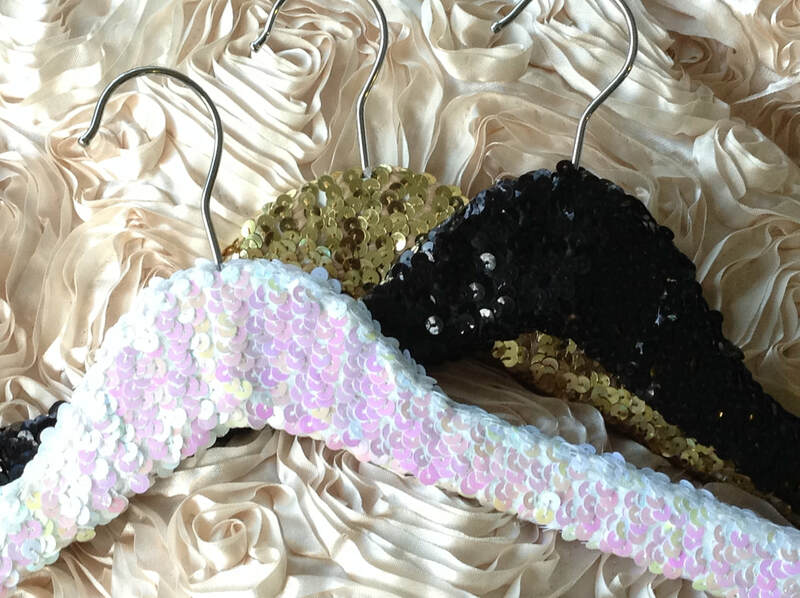 Our sequin hangers make a great gift for any occasion Wedding, Bridesmaid gift, or Graduation. They come in four colors. Sliver, Gold, Black, and White Iridescent. We will be adding more colors as they come in. 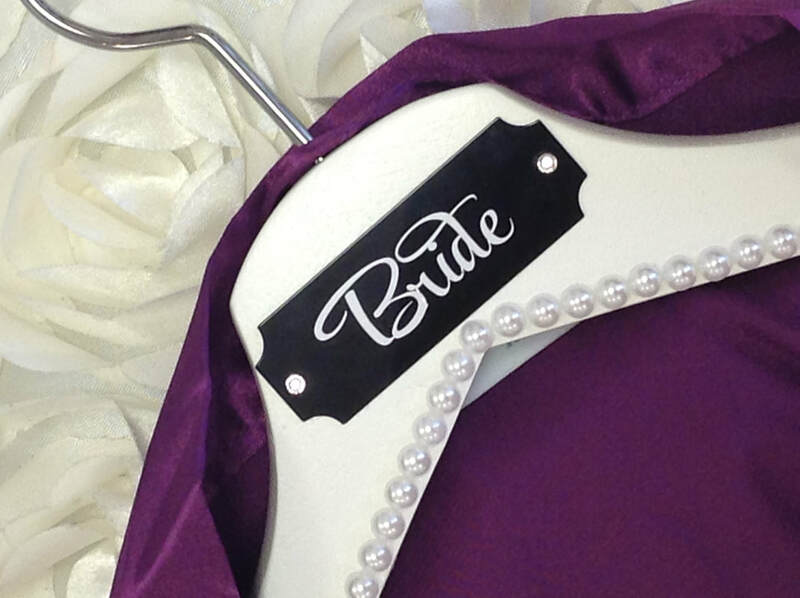 Our Couples Monogram Hangers makes a perfect gift for that Perfect Couple on the special day! 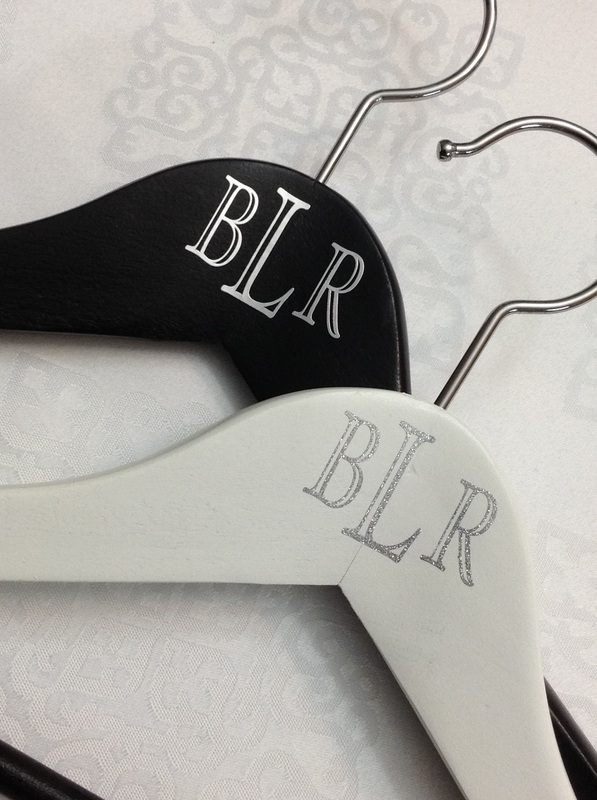 Hangers are wood and contain a vinyl monogram. Monograms can be personalized with monogram type and vinyl color of choice. (Sliver Mirror & Sliver Glitter) shown in picture. Hangers available in white, black, and natural. When placing your order please place your letters the way you would like them on the hangers.